Fall is by far one of our favorite times of the year. It seems like we wait all year for the temperatures to drop down to an enjoyable level. 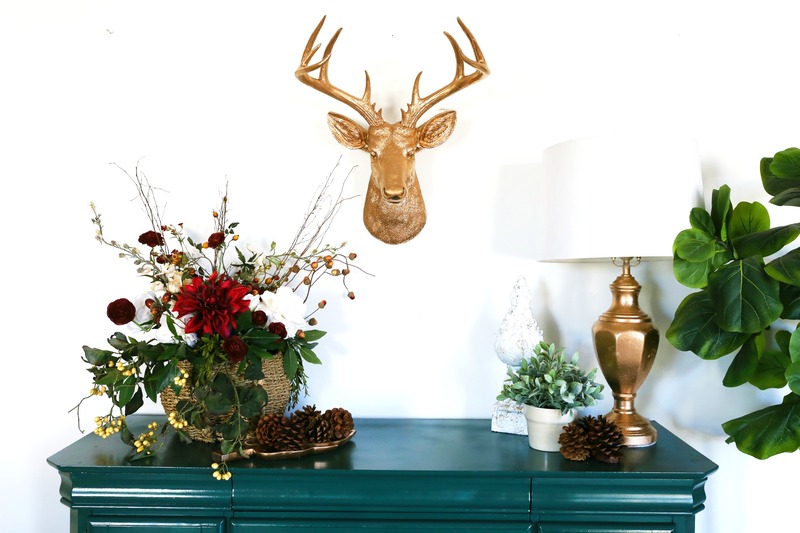 This year, I decided to give my entryway area a fall refresh to bring that feeling I love into my home with Krylon®) Brand. 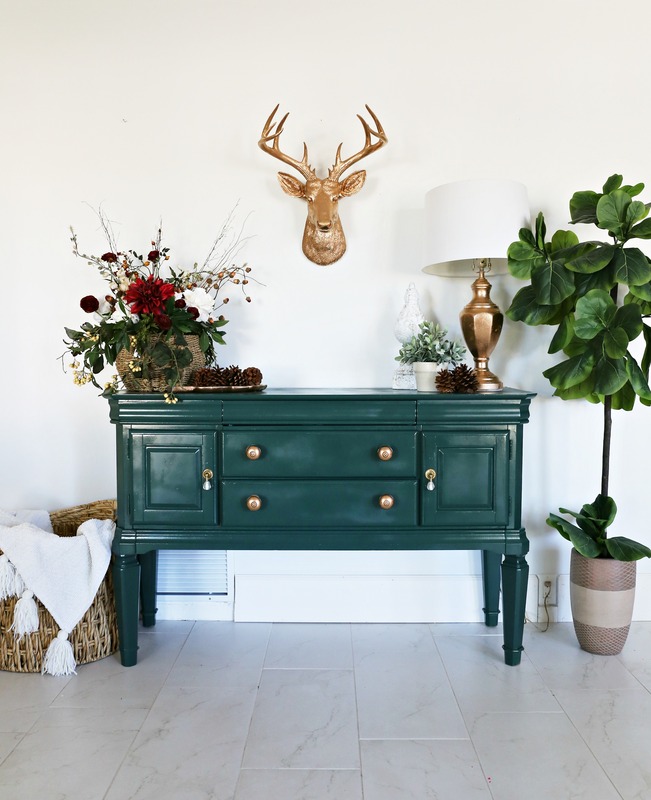 My old entry table was starting to look tired and worn but I absolutely love this piece so I knew it was time for a makeover. 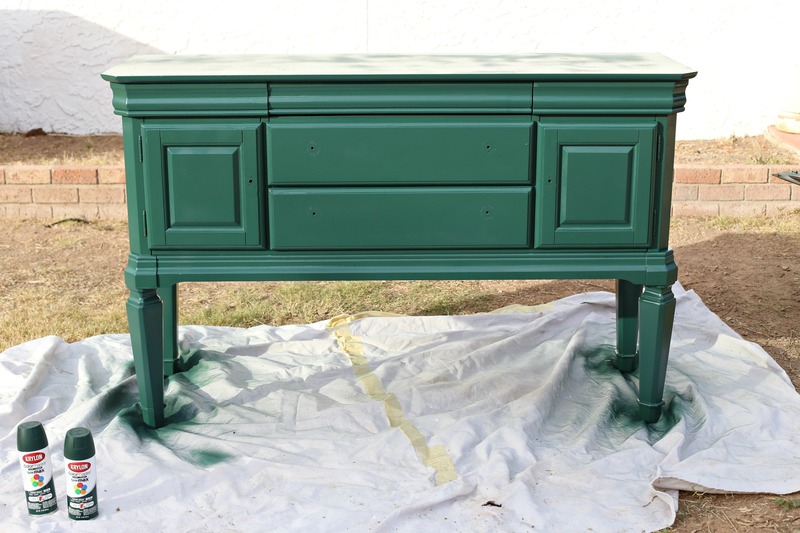 I used 3 cans of Krylon® ColorMaster™ Paint + Primer in Hunter Green It took 2-3 coats to cover the previous paint color. 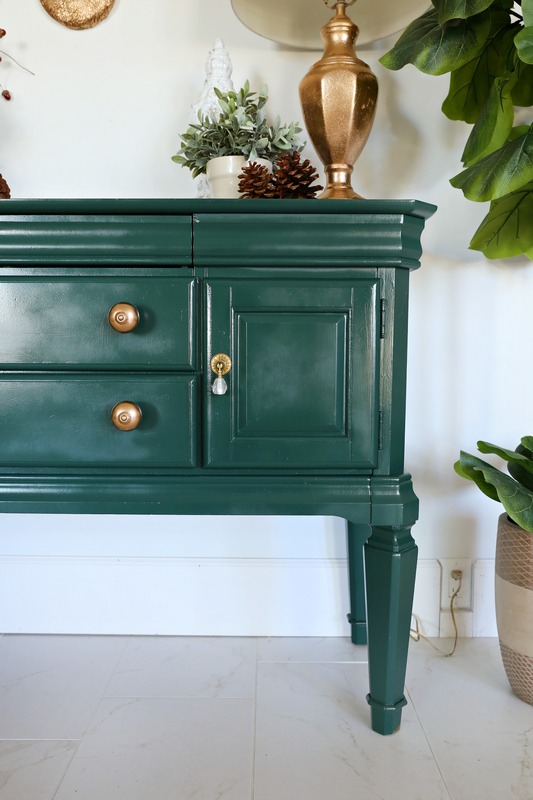 I absolutely love the vibrant green that is so on trend right now in home decor and interior design. 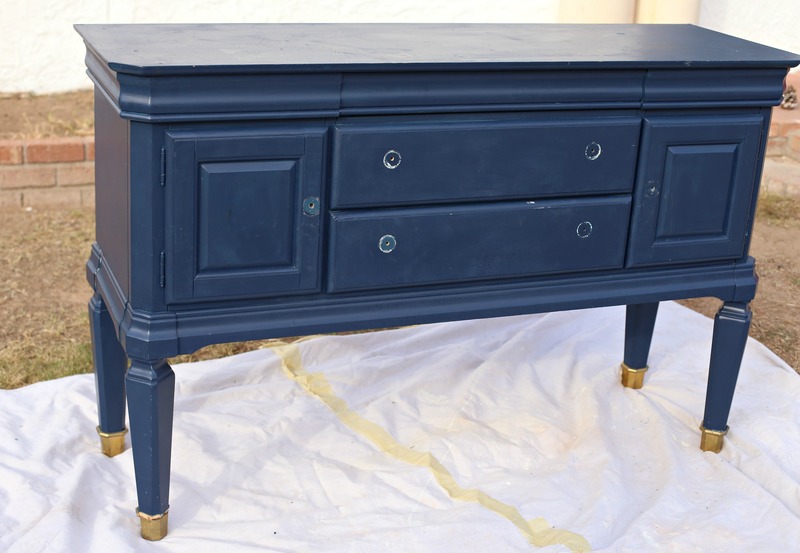 I finished off the piece by painting the knobs with 3 coats of Krylon Premium Metallic in Copper Foil. I used less than a can for all of the knobs. 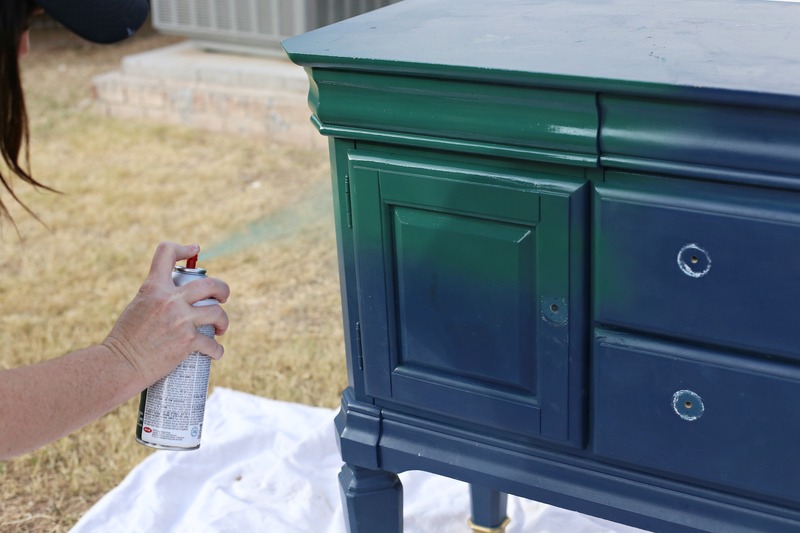 I always like to do an extra coat of paint on things that will be handled often. 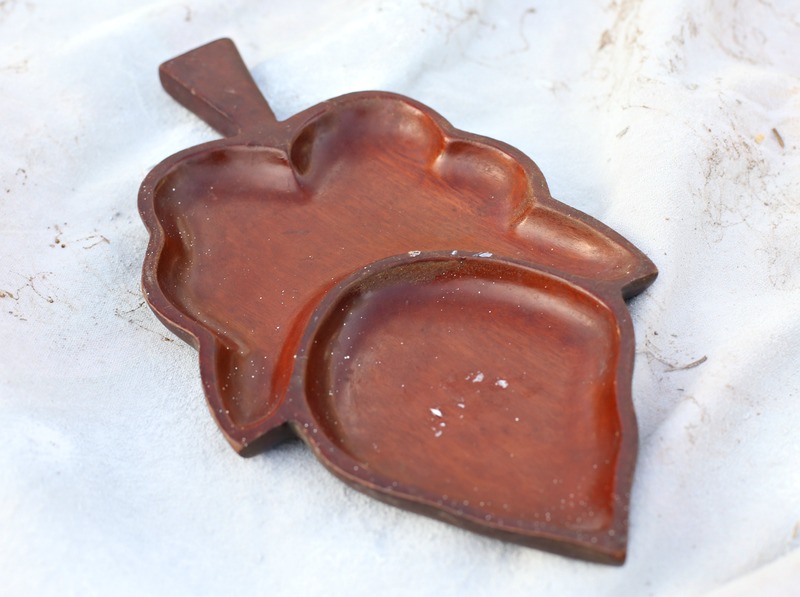 This little leaf platter caught my eye right away and I have it 2 coats of the same Krylon Premium Metallic in Copper Foil. I only used a little bit of the can for this piece. I was obsessing over the finish of the Premium Metallic Copper Foil so I decided to do a few more pieces with the same paint. I sprayed Mr. Deer with 2 coats of the Premium Metallic Copper Foil as well. This took 2 coats and about half of a can. 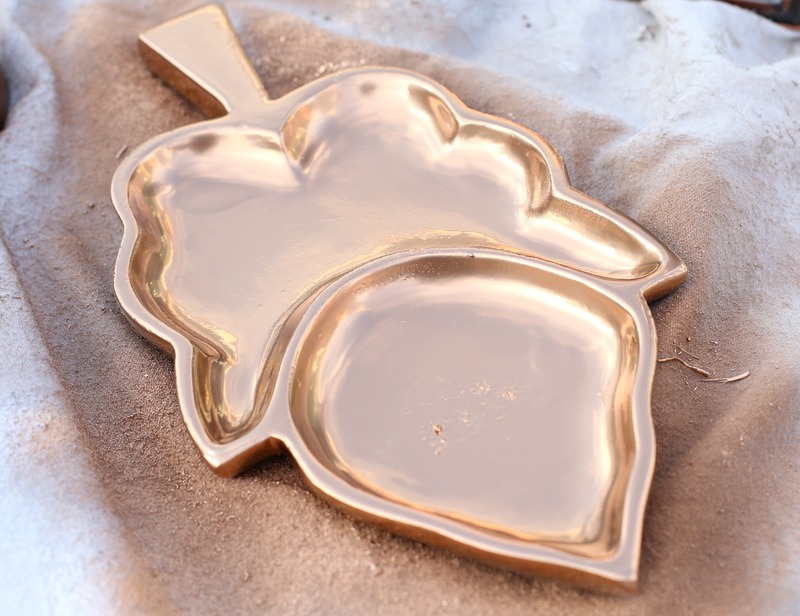 Doesn’t he look great in copper? 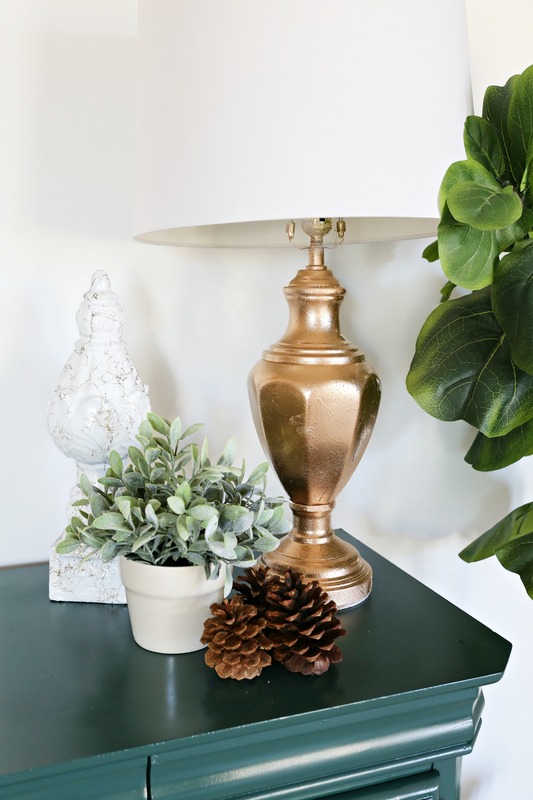 Lastly, I sprayed my thrifted lamp with the Premium Metallic Copper Foil too! It looks like a brand new, high end piece now and only cost me a couple dollars! I used one can of spray paint and did 2 coats on the lamp. 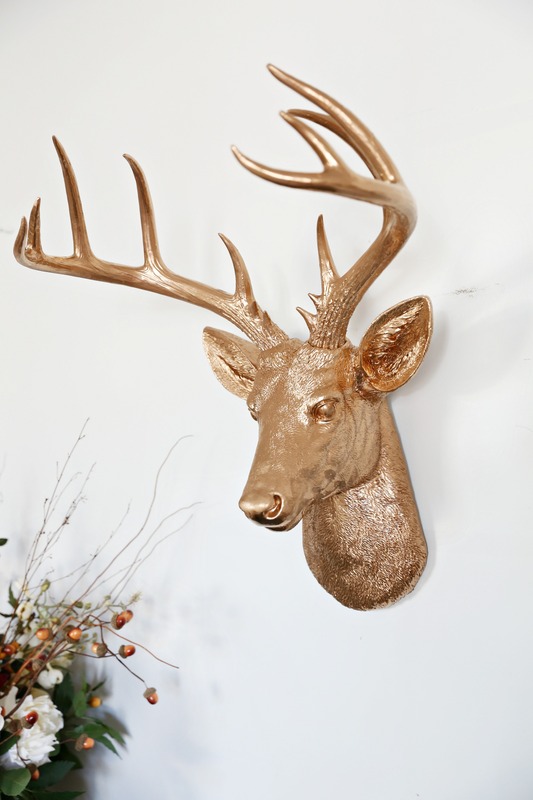 The foil finish is so cool and perfect for fall! The last piece I painted was this cool decor piece I found at the thrift store. I painted it with Krylon ColorMaster Paint + Primer in Satin White and went over it with Krylon Marbelizing Spray in Gold Chiffon. This stuff is SO awesome! 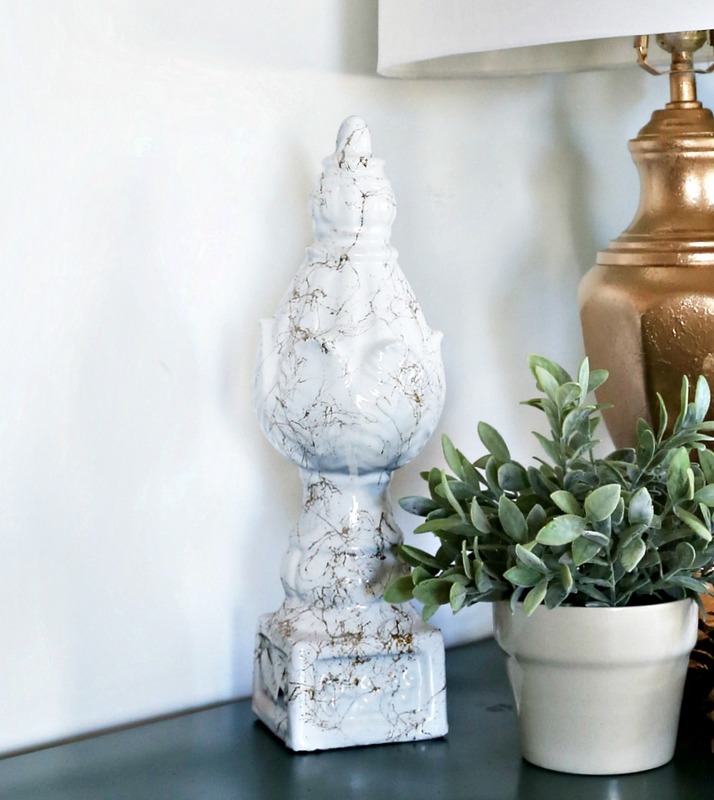 It totally looks like Carrara Marble but it’s just the paint finish. Isn’t that awesome? tweaks to the decor. 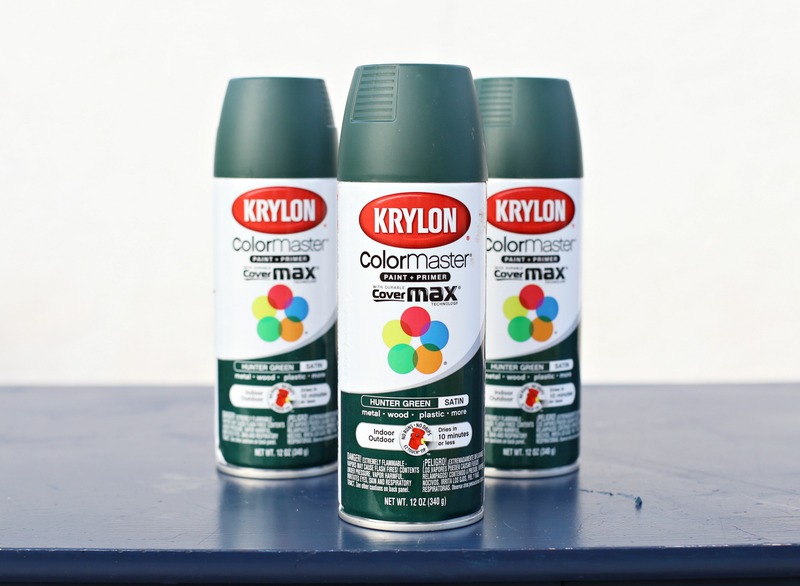 All of these Krylon products are available at Hobby Lobby. Your entry way looks so beautiful!! 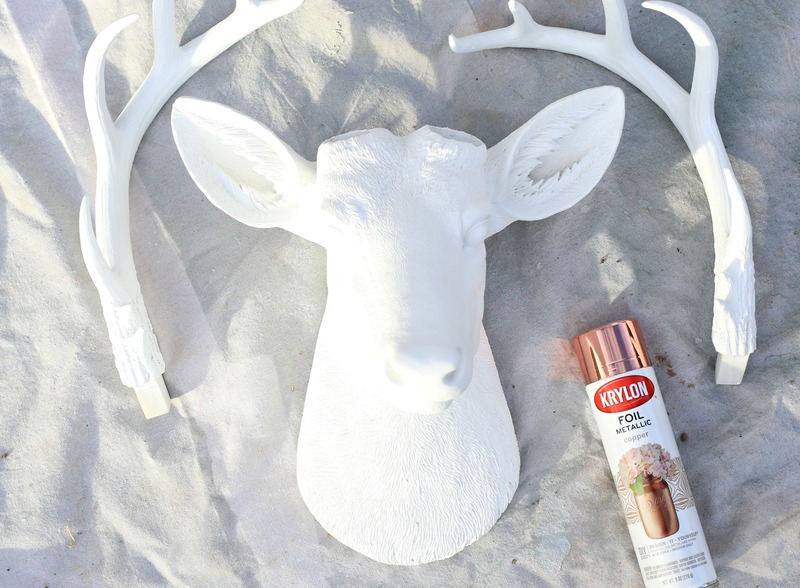 I love the added elements and how you quickly changed the color with spray paint. Thanks for the idea! 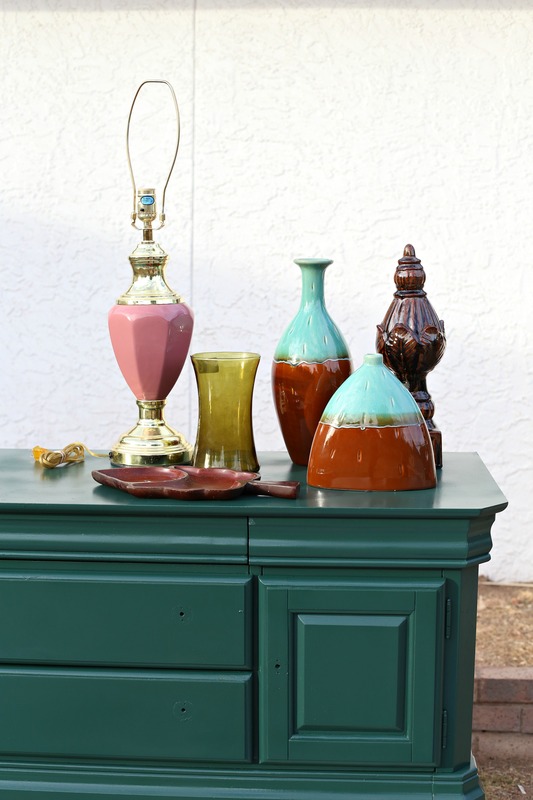 I simply love the color of the table. 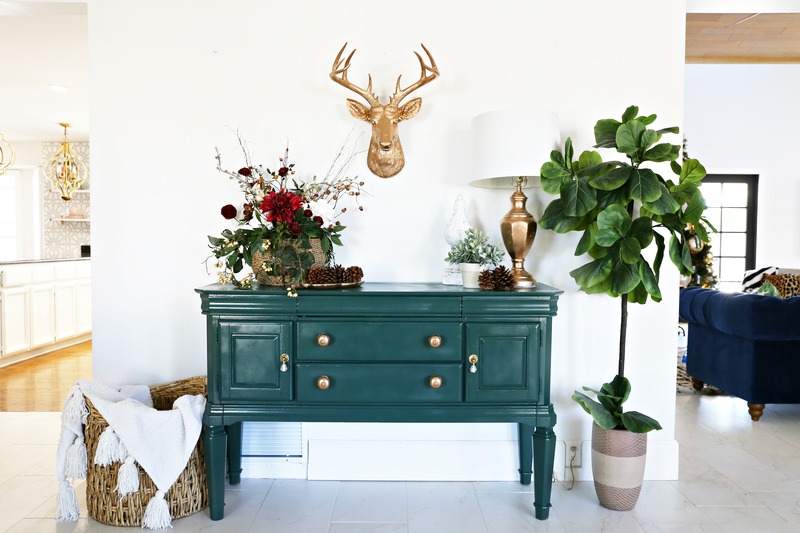 It gives such a nice contrast to the hallway! Good, good job!